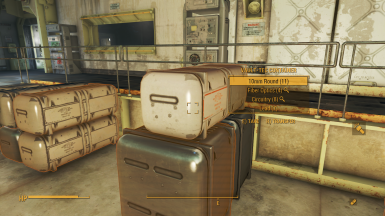 AutoLoot-Lootable Vault-Tec Containers and Wood Crates Patch Only the ALL DLC Merged version is supported. Version 2 now allows scrapping within settlements. This mod aims to add an immersive method of providing more building materials in addition to random junk collection. Imbalanced early game mechanics provide insufficient materials to fulfill settlement requirements - even at a low level - for settlements that may not be revisited for quite some time. Not anymore. 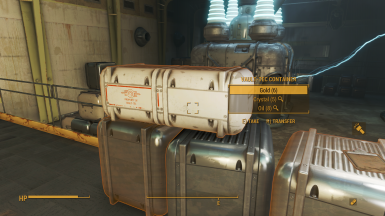 Vault-Tec crates contain rare and uncommon building materials such as acid, springs, copper, fiber optics, etc. 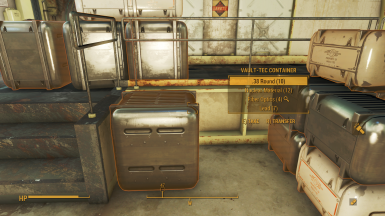 In order to supplement materials in the Vault-Tec crates, wood crates contain wood, steel and concrete. Smaller crates of both variants will contain a lesser amount of materials than their larger counterparts. 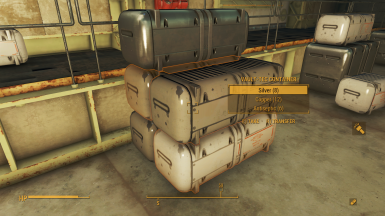 Both types of crates are scrappable in your settlements, and will return contents to the workbench (same mechanic as any container) if you scrap the crate before looting.